Intel Company Information Is this your company? Add your own content to this page. We currently have 5 open jobs at Intel. 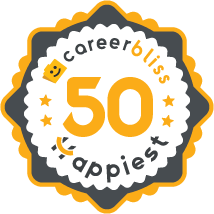 We've calculated that the average salary at Intel is $71K based on 3,808 user-submitted salaries A total of 772 Intel employees gave Intel an average happiness rating of 4.1 out of 5.0. 319 Manufacturing Technicians from Intel submitted salaries. Get back to the template Andy Grove and the other two founders established for the company. Reward the workers for productivity and innovation on the manufacturing floor as well as the egg-head architects of the circuitry. Allow the MTs to expand their education via on-campus online college instruction, if allowing them time to go to class is impossible. Stop treating your night-shifts 4 & 6 like they are lepers not worthy of the same treatment and communication that day-shifters receive. Bring back relevant team-building sessions. Stop arbitrary headhunts every time an MT is involved in a misprocess. Record the glitch and move on by instituting new procedures or changing existing ones. No sense in making the existing paranoia any more tangible than it already is. Recognize & reward those who come up with good ideas to make things better, easier, less costly, safer. They have to improve their management skills and be truthful. Earn the trust of employees and not act like GODS in the company. They are fellow employees working to get a good product out of the door. They should act in the same way. Needless to say, it will fall on deaf ears..
4 Intel is a very interesting place to work for, although it's too big for my taste. Very talented people, so it's not a surprise they pulled down $40B last year. The different treatment they impose to separate green 'contractor' jobs from blue 'permanent' jobs I found to be petty and insulting. The group I was in didn't follow Scrum which I think is a bad choice. I agree with their pro-conflict resolution mentality but don't care for the ranking system that is used for bonus calculation. An international technology company, Integrated Electronics Corporation (Intel) has put out some of the most innovative and largest technological inventions in the industry. It’s naturally based in the heart of Silicon Valley, San Jose, CA — where technological companies are popularly based. One of its notable accomplishments is the invention of the x86 series microprocessors, which can be found in almost every personal computer to date. The Intel environment is all about culture and growth. Intel offers extensive learning opportunities, including an Intel university with 7,000 courses as well as language courses and cross-cultural team training. Intel supports minority through their several minority programs, including: Intel Latino Network, Intel Native American Network, Intel Gay, Lesbian, Bisexual, or Transgender Employees, and more. They also offer exclusive programs for students who have just graduated. Intel dedicates a major even to invention and innovation at their International Summit for Proliferating Ideas and Recognizing Excellence. Check out some Intel job openings below.